Another thing I like about my modern workplace. 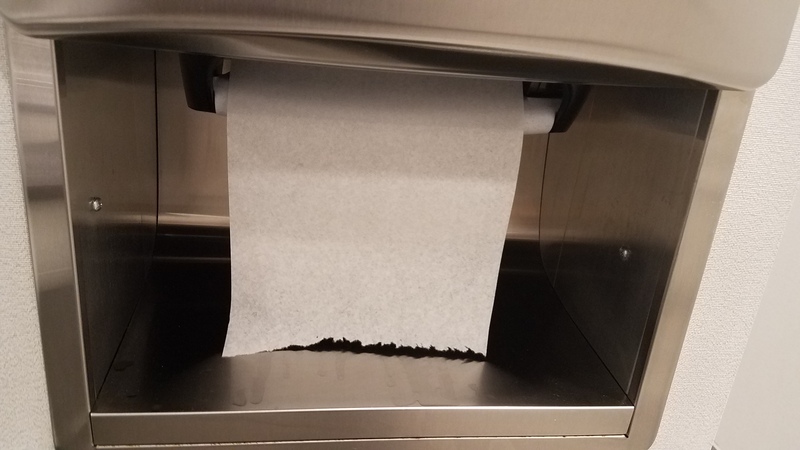 The automatic paper tower dispenser, where you wave your hand and are dispensed a paper towel, is ubiquitous today but this one is implemented a little differently. Instead of waving your hand and waiting while the unit spews a length of paper for you to tear off, these go ahead and dispense the paper and all you have to do is tear it and use it. It goes ahead, after you tear yours off, and dispenses a towel for the next person.